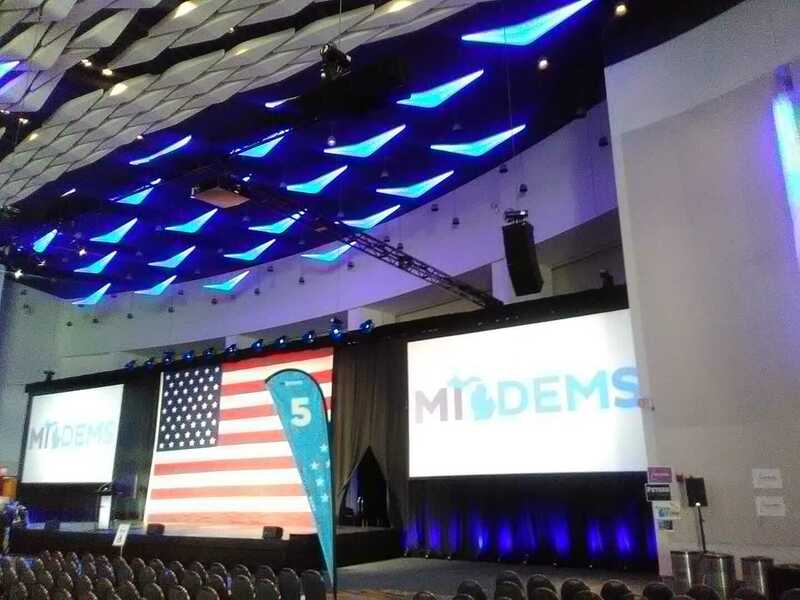 While Democrats gathered on Saturday in Detroit to pick new leadership and look ahead to the 2020 election, a key member of the state’s new executive team wasn’t there. Secretary of State Jocelyn Benson, who was elected as part of the 2018 blue wave, was at the National Association of Secretaries of State (NASS) 2019 winter conference in Washington, D.C., her office confirmed. Assistant Secretary of State Heaster Wheeler attended the Michigan Democratic Party spring convention at Cobo Hall. At the convention, Democrats elected Michigan Democratic Party Chief Operating Officer Lavora Barnes as chair. Chair Brandon Dillon did not seek re-election. Leaders including Gov. Gretchen Whitmer, Lt. Gov. Garlin Gilchrist and Attorney General Dana Nessel fired up the crowd of almost 3,000 people.